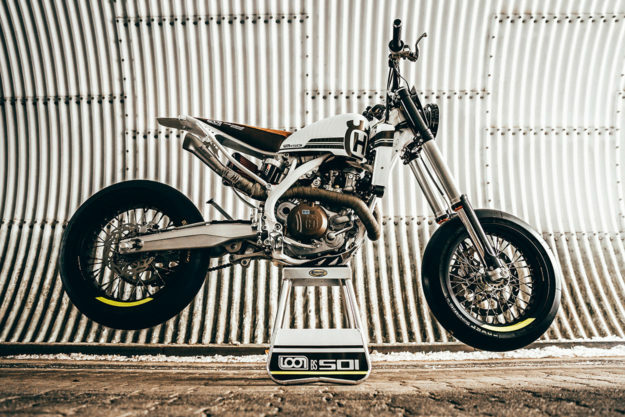 Husqvarna FE 501 tracker by LOON Husqvarna is one of the hottest motorcycle brands coming into 2017. 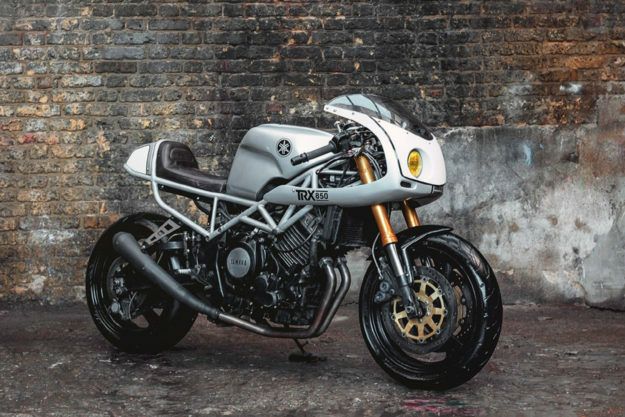 Sales rose 43% last year and most of the moto world is salivating at the pending release of the Vitpilen models. To tide us all over, David and Dominick from Germany’s LOON Cycleworks decided to toss a Husky FE 501 on their bench and give it the street tracker treatment. A bike, we think, will bridge the gap quite nicely. 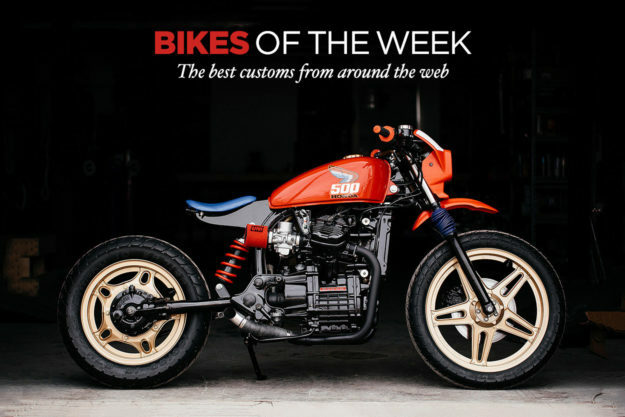 Honda CX500 by Brick House Builds Regardless of whether you remember them fondly or with disdain, the eighties were a wild time. Mullets, suit jackets with a Presidential-sized cut and teenage stars named Corey were everywhere. And so was Honda’s notorious ATV, the ATC250R—until they were crashed, or the Health and Safety folks pulled the plug. BJ English, of Missouri’s Brick House Builds, is obviously a fan of the decade. 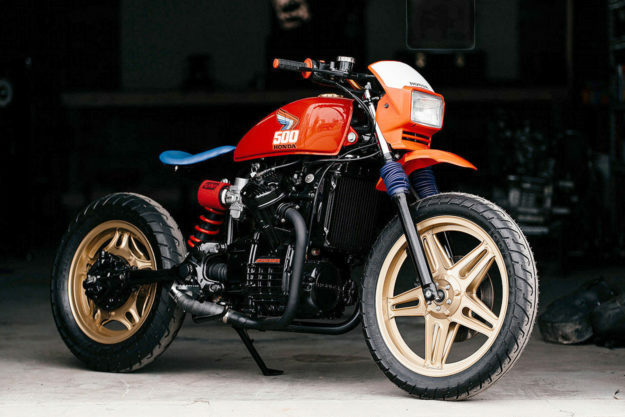 How else would you explain this CX500, inspired by the infamous ATC? Honda CB550 by Cafe Cycles Last week many of you were smitten with the beautiful blue Benelli that had already sold at auction—for an absolute steal. To make amends for my tardiness, I’ve scrounged around and found a damned fine CB550 on eBay that can still be had—at time of writing. 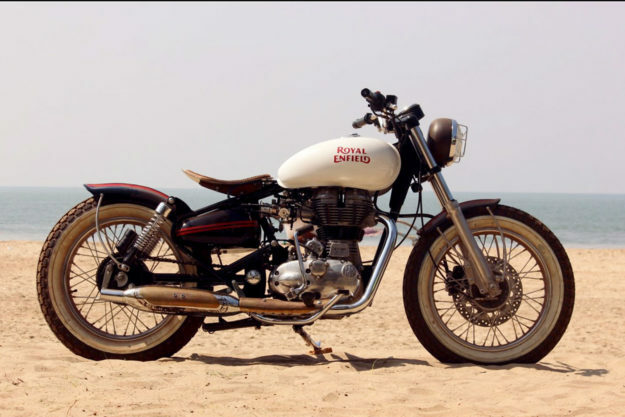 Royal Enfield Beach Tracker Ridermania is an annual celebration put on by Royal Enfield that takes place on the sandy shores of Goa. 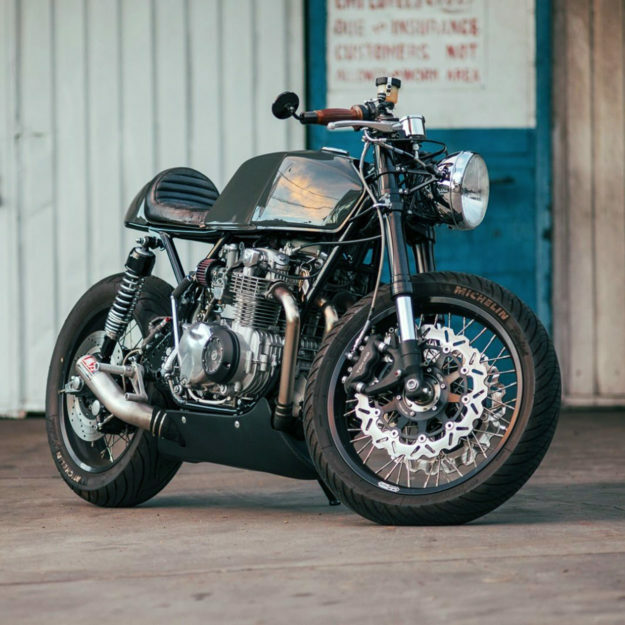 A fitting place to find this clean and austere Beach Tracker build that wowed the audience last November. It’s the creation of New Delhi tinkerers Aseem Singh Pawar and Gursourabh Singh, who turned the project around in a mere 45 days. Working with a set budget and strict instructions to not alter the frame or fuel tank, Aseem and Gursourabh decided to rely on subtlety and class to enhance their Bullet. Yamaha TRX850 by Seb Hipperson Mention the words ‘trellis frame’ and minds generally wander to Bologna. So intertwined are Ducati and this skeletal style that many forget that other OEs experimented with it too. Although rarely seen on North American shores, the Yamaha TRX 850 was one of those hidden gems—and Seb Hipperson has built us a lovely reminder. Since this bike was for Seb himself, he had free reign to build whatever he wanted. And what he wanted was an endurance-inspired bike that would fit within a budget but wouldn’t sacrifice looks or performance. Four years and a couple different directions later, this is what Seb rides.